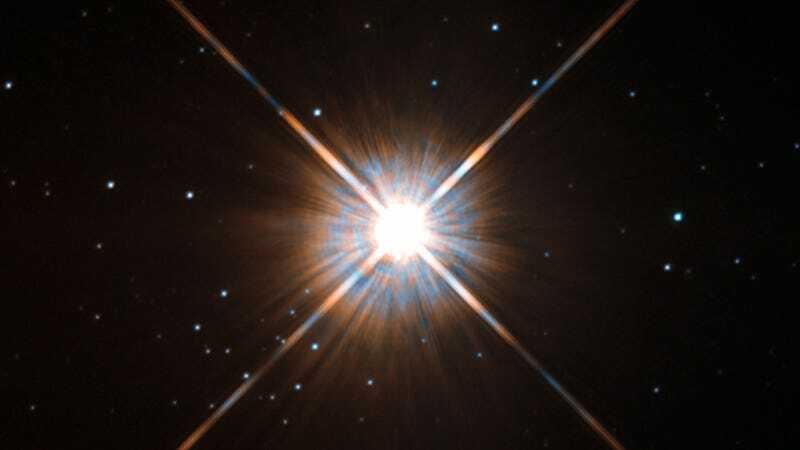 No, this isn't a picture of our Sun — it's of Proxima Centauri, the closest star to our solar system. This new image from Hubble presents it in unprecedented detail. Proxima Centurai is located a mere four light-years away, but it's not visible with the naked eye. Its average luminosity is quite low, and it's quite small compared to other stars, measuring in at about an eighth of the mass of the Sun. However, on occasion, its brightness increases. Proxima is what is known as a “flare star”, meaning that convection processes within the star’s body make it prone to random and dramatic changes in brightness. The convection processes not only trigger brilliant bursts of starlight but, combined with other factors, mean that Proxima Centauri is in for a very long life. Astronomers predict that this star will remain middle-aged — or a “main sequence” star in astronomical terms — for another four trillion years, some 300 times the age of the current Universe. By the way, Proxima Centurai is part of a triple star system, but its two companions, Alpha Centurai A and B, lie out of frame.